I love affirmations. They’re great for relaxation (meditate on one for 5 to 10 minutes) and just saying any one of them silently, is enough to cause an immediate shift in your mental state. Our mental state, or how we feel, influences what we do. As simple as it sounds, feeling good has become a luxury many believe they do not deserve. We get so used to hurrying, rushing, moving from one thing to the next, that we don’t rest in the habit of slowing down, chillin’ out, and spending time loving up on ourselves–seriously. You can literally create, heal, change, and profoundly improve your life; increase your wealth, attract or improve a relationship, and more importantly…feel good, balanced, and totally fulfilled in each area of your life just by affirming “I love myself” everyday. I have used many techniques and methods with clients on a variety of subjects and few of them are as effective as affirmations. I’ve used affirmations for years and as my life got busier, and more hectic, and I found myself more stressed than happy, I went back to what works…an easy, fast, powerful statement of truth about myself and others. Use affirmations as a compliment to the joy you already experience in your life. After all, What you focus on increases and Love is contagious! 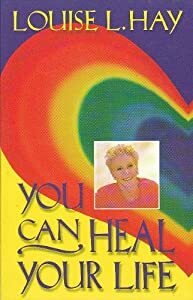 Louise Hay recommends reciting your daily affirmations in front of a mirror. Notice what comes up as you look into your eyes and state: MONEY FLOWS TO ME EASILY or I AM A MONEY MAGNET, and I AM BEAUTIFUL AND EVERYBODY LOVES ME! To feel good it is important to clear all of the resistance, fear and limitations we put on ourselves disguised as self-criticism, tension, and doubt. Not a believer in affirmations? Practice this exercise for the next 3 days. Recite it 10 times, 3 times a day (you can always do more:). For example, look into a mirror and repeat, “I love myself, I love myself, I love myself…” as if you were doing 10 crunches or squats. Exercising your mind is the equal partner to exercising your body. At the end of the 3 days post your results in response to this article. Complete this exercise, post your results, and you will be entered to win one of my favorite deep conditioners – Anita Grant’s Rhassoul Clay Deep Condish. Specify which condish is your favorite in your post as well (Marshmallow, Banana, Raspberry). In the infinity of life where I am all is perfect, whole, and complete. The Universe is always conspiring in my favor. I am One with the constant activity of Love that is always present. Only Good comes to me. Harmony and peace, love and joy, surround me and indwell me. I am safe and secure. Previous Post: « LavishlyNatural.com: A Real Winner!